Did God send a prophet? This accusation comes to us from Doctrines of Demons, a 1999 booklet by former Adventist and retired physician Jack Gent, who was born in 1922. 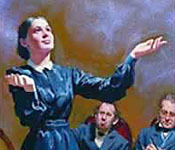 Like other critics, Gent claims that Ellen White taught that no more sinners could be converted. He adds an interesting twist to this allegation by pointing out that at the same time Ellen White was supposed to be teaching this particular version of the "shut door," many were being converted in the "great crusades" of D. L. Moody and I. D. Sankey. If no more sinners could be saved, how come Moody and Sankey were so successful in leading people to Christ? If the door was shut, no further conversions were possible. No one who was unconverted before October 22, 1844, could after that date be converted. Yet, as opponents of the Shut Door continually pointed out, sinners continued to accept Christ and become Christians -- for instance, at the great crusades then being held by Moody and Sankey. These apparent conversions, which seemed to prove that the door wasn't shut, was [sic.] a problem that was taken up and answered by the vision.—bold added. Dwight L. Moody was born on February 5, 1837, and therefore had just turned 12 at the time of Ellen White's vision. 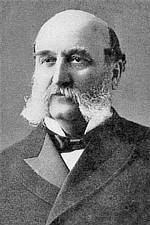 Ira D. Sankey was born on August 28, 1840, and therefore was still 8 at the time of the vision. Moody began missionary work in 1860, 11 years after the vision. Moody met Sankey in 1870, 21 years after the vision. Thus Moody and Sankey were not seeing a lot of conversions during public crusades in 1849. What they were seeing in elementary school we do not know. At a meeting of the presbytery of Philadelphia, Mr. Barnes, author of a commentary widely used and pastor of one of the leading churches in that city, "stated that he had been in the ministry for twenty years, and never, till the last Communion, had he administered the ordinance without receiving more or less into the church. But now there are no awakenings, no conversions, not much apparent growth in grace in professors, and none come to his study to converse about the salvation of their souls. With the increase of business, and the brightening prospects of commerce and manufacture, there is an increase of worldly-mindedness. Thus it is with all the denominations. "—Congregational Journal, May 23, 1844.—Great Controversy, pp. 376, 377. Since there really were no great number of conversions around the time period in question, the prevailing climate of the Christian community did nothing to contradict the idea of a shut door of mercy for sinners. And yet Ellen White always claimed that her visions never taught the no-more-mercy-for-sinners version of the "shut door." While she claimed to still believe in a different version of the shut door, one that still held out mercy for sinners, she steadfastly maintained that her visions had never taught the extreme version. What are your thoughts on Moody, Sankey, and the "Shut Door"? No one has been saved since 1844. Thank God the situation later turned around, and people started being interested in the Gospel again. Moody and Sankey were great evangelists, even in elementary school. Why do people like Gent make such outlandish accusations? AdventWeb Click here if you have a question on Ellen White or the Bible. Click here to report a dead link or send a comment to the webmaster.